Lauren Groenewald started her career in broadcast journalism in 1991 as a radio producer for Channel Africa. She moved from news into documentary film producing, feature length, short films and documentary series for civil rights organisations and broadcasters. Her recent projects ‘The Long Walk to School’ and ‘I Walk Alone’ focussed on the challenges faced by rural learners and LGBTI asylum seekers. Lauren has filmed and worked all over the African continent. She is a mentor at the Big Fish School of Digital Filmmaking and has acted as Series Producer for the Close Encounters Laboratory. She presents industry workshops, the most recent at the Frontline Club in London, teaching storytelling through multi-media and video. Nana hails from Pietermaritzburg and always wanted to be a part of the television and film world. She graduated with a triple major in film, media and drama from UCT in 2012 and approached Plexus Films for an internship shortly thereafter because she wanted to explore the documentary aspect of television. “The stories in the series are inspirational and I get to meet many interesting women. I also love the team and have learned a great deal since joining this project,” she says. When not at work, Nana loves to sleep, hang with her friends and visit her family in KZN. Her Samsung Galaxy is, arguably, her best friend. 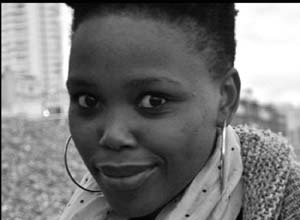 Lesedi trained as a narrative director at City Varsity and also has an MA in Documentary from the University of Sussex. 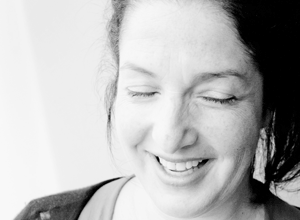 She has worked in the TV and film industry for 10 years as a director, creative producer, and voice-over artist. She also trained as a presentor and actor, presenting on the popular SABC youth programme ‘What’s your Story?’ featuring the unsung heroes of South Africa’s liberation struggle. She also worked as a radio host for ‘The Radio Workshop’/Children’s Radio Foundation slot on SAFM. Lesedi’s TV work includes educational programmes such as ‘Trailblazers’, chronicling the triumphs of South Africans affected or infected by HIV/AIDS and ‘Word Art’, a national programme showcasing South Africa’s unpublished authors. Llewelyn was key to the success of this series from its very beginning and directed 3 of our episodes: Hanlie Prinsloo (e3), Judith Kotze (e5) and Judy Bekker (e8). Our dearest Llew passed away in September 2012, two weeks before the end of our first season. Fly well beloved Llewelyn, you are so treasured and deeply missed. Karen has over 12 years experience working as a D.O.P filming a large variety of productions including documentaries, television series, music concerts, reality, live events, sports and more. Filming people and their stories is one of Karen’s great passions, resulting in many incredible projects including the 2009 US documentary Motherland, which won numerous awards including Best Documentary from the California Independent Film Festival. She started her career as an on- and off-line editor before moving permanently into camera work. 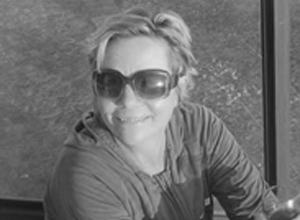 Karen has a BDram degree from Stellenbosch University and lives in Somerset West, Western Cape. When not working she loves to taste great wine! 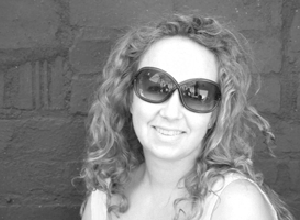 Charlene completed her studies at AFDA in 2002 and went on to work as an editor in various film formats. She enjoys the constant challenge of finding the heart of a story. Charlene has found working on documentaries to be the most rewarding, especially natural history and wildlife programming. Notable recent editing projects, other than her ongoing contribution to ‘I Am Woman Leap of Faith’, include ‘Sharkville’ for National Geographic; the award winning ‘Running with Wolves’; and ‘White Lions Living Wild’ - a two hour special about naturally born white lions in the Timbavati Nature Reserve for PBS. 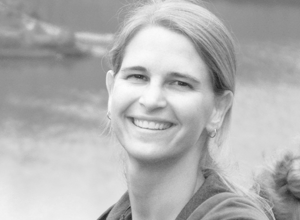 She has also edited natural history films for the Smithsonian, Canal Plus, ORF and ARTE. As camera-director, Miki is passionate about telling stories for change. 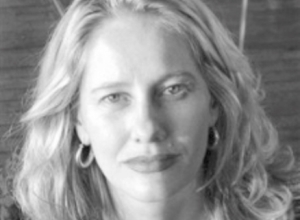 She began her filmmaking career in 1994 as a freelance director, editor & cameraperson for the SABC. 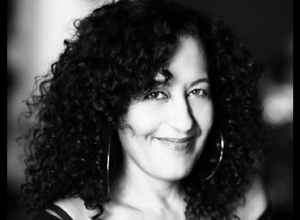 Since 2000 she has produced a diverse body of documentary films and on-line media for local and international broadcasters, and has produced/mentored many debut filmmakers. In 2009 she won the ‘Ousmane Sembene Films for Development Award’ for her debut feature documentary, ‘Keiskamma, A Story of Love’. 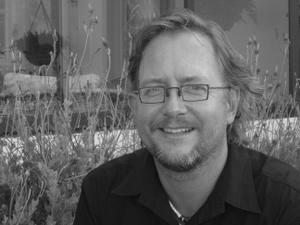 Recent work includes ‘Under the Mountain’ about TB in the Western Cape [SABC, 2015] and ‘Mystery of the Arctic Cairn’ [co-author/producer, TV2 Norway] which won the 2015 SAFTA for Best Wildlife Documentary. Miki was a founding board member and chair of the Documentary Filmmaker’s Association [2007-2009]. Jane has been telling stories using all sorts of media since leaving University in 1980. She has been fully committed to documentary filmmaking since 1997 when she formed her own production company, collaborating with and producing content for South African and international production houses, as well as pro bono for non-profit organisations. Her work has taken her underwater in Mozambique, over mountains in the Cederberg, as well as through the streets of New York, London and Dublin, to nine African countries and most of South Africa’s lesser-known “dorps”. Essentially an organic filmmaker, storyteller and adventurer, Jane is passionate about reality being real and not manipulated. She likes to be in control when “letting go and letting be” is key. Izette started working in the TV industry as editor and later moved on to directing, working on music videos, inserts, documentaries and reality TV. Her work has involved varying subjects from humanitarian issues, sport, education, arts and culture, fashion and beauty. She also edited the ‘Take A Stand’ public awareness campaign against domestic violence. In 2011 she edited GLITTERBOYS & GANGLANDS for award winning writer, Lauren Beukes, which premiered at the Encounters South African International Film Festival. Another recent project is a documentary on Sean Davison, who went on trial for murder in New Zealand. diving with great white sharks to filming white rhinos being transported by air. 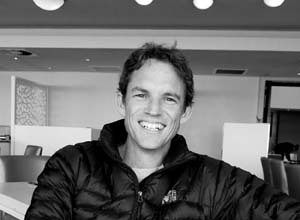 Tim directed and filmed the acclaimed ‘King Naki and the Thundering Hooves’ and has worked on a 6 part documentary series for Al Jazeera in Nigeria, Sierra Leone and Ghana as well as other series for the channel in Nigeria and Cuba. Geographic, BBC, ZDF, SBS Australia. Tonia Selley is an editor and musician who has been working in the film and television industry for more years than she cares to remember. Starting off as a director, she was bitten by the editing bug early on, and loves sitting in dark rooms and listening to people telling their stories. Tonia also loves performing her music on stage and has travelled across South Africa and the world doing so, including peforming backup vocals for Rodrigues’s landmark concert in South Africa. Tonia’s commitment is to try and move an audience, no matter what medium she is working in and whatever genre, and she is particularly drawn to projects about extraordinary people who are making the world a better place. Ask Jabu Msomi where he hasn’t worked in the world and he’ll just look at you and smile. 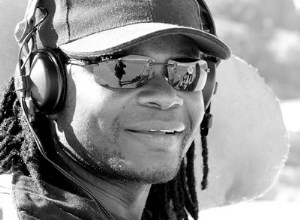 As one of South Africa’s most sought after location sound recordists he has pretty much seen and done it all. He has worked across all genres from documentary series to reality shows, live broadcasts, TV drama, feature films, commercials, music videos and wildlife. 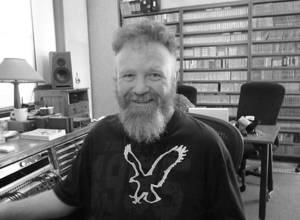 He was the chosen location sound recordist for Michelle Obama’s South African tour and for comedian Eddie Izzard’s ‘27 Marathons for Nelson Mandela Project’. The story goes that final mix sound engineers have, on occasion, refused to charge producers because Jabu’s sound was so good. When not working, Jabu can be found dreamily tending to his cows and sheep in various KZN and Limpopo fields. Lisa spent 6 years as a radio broadcaster on Good Hope FM, where she lived on a tower for 10 days and nights once a year at the V & A Waterfront for 6 years, raising over R 1.2 million for the prevention of child abuse. Strue! She then spent a decade as a radio talk show host on Cape Talk 567MW. 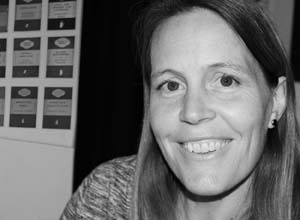 Lisa is the founder of Life Stories, a family heritage project where she supports clients to ‘talk across time’ on film, audio and in print to preserve stories for future generations. She also produced season 2 & 3 of It’s Africa’s Time travelling to 23 African destinations to tell stories about development across the continent. In 2009 Lisa, with the support of director Llewelyn Roderick, approached Plexus Films with her idea for I Am Woman Leap of Faith. A partnership with Plexus was formed and the rest, as they say, is history. 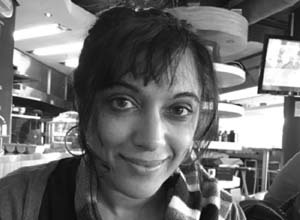 Cape Town based Shameela Seedat has extensive experience in legal and policy matters in South African and international contexts. She trained as a lawyer with a special interest in human rights and has worked at the South African Constitutional Court, the Land Claims Court and at a Cape based law firm. Shameela moved into filmmaking some years ago and was producer on the multi-award winning ‘Dream of Sharazaad’. Her latest project is a feature documentary on Thuli Mandonsela, South Africa’s outgoing Public Protector famed for ruling against President Jacob Zuma on the controversial Nkandla homestead upgrade. Shameela currently juggles her passion for meaningful storytelling with chasing after her spirited toddler. 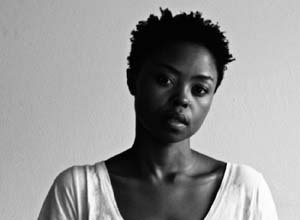 Zandi Tisani is a Johannesburg-based filmmaker. She was part of a team that won two awards at the 2016 SAFTAs [South African Film & Television Awards] for Best Achievement in Scriptwriting in a TV Comedy [Those Who Can’t] and Best Achievement in Scriptwriting in a TV Drama [Umlilo]. After studying film and media at the University of Cape Town, Zandi’s career began to show promise when she was offered the opportunity to direct Zaki Ibrahim’s 2012 music video ‘Go Widdit’. Zandi’s more recent film projects include a look at the fashion scene in Yeoville, Johannesburg, as well as a new web-series titled ‘People You May Know’. She also directed the short film ‘Highlands’ for the Encounters Documentary Film Festival Laboratory 2016. 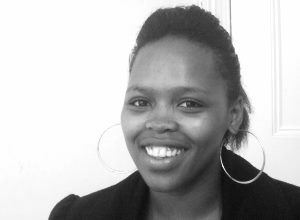 Andrea studied drama and English at UCT and moved to on-the-job training as a video editor in London for news channels across Europe. She worked in the news cutting room during Princess Diana’s death and edited and scripted many notable news stories after that. 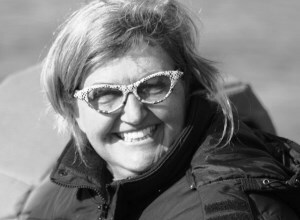 Andrea returned to South Africa in 1998 and, since then, has edited and scripted across most genres: Reality TV [Ultimate Braai Master, Charlie’s Cake Angels, Showville, SA Dream School] and National Geographic adventure series. Andrea also works on socio-political documentary projects with UCT’s Michaelis Art Department and edited the documentary based on journalist Jacques Pauw’s acclaimed book Rat Roads. She is currently crafting her first novel. 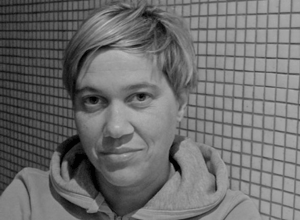 Tanja hails from the Mother City and has been editing for 15 years. Her work across a number of genres has been widely praised. She has edited TV dramas such as The Lab, 90 Plein Street and Jacob’s Cross as well as working on Big Brother and Survivor Africa. Noted features include White Wedding and Paradise Stop, for which she won a SAFTA in 2012. 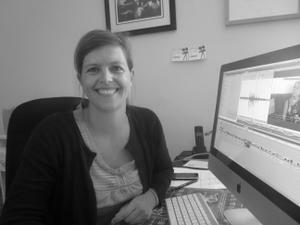 Tanja loves the complexity of crafting a story and using the edit to elicit drama and emotion out of the narrative. The challenge of capturing the most elegant beginning, middle and end to a story is what draws her. Stef is one of South Africa’s most sought after final mix engineers who has worked across the genres from high-end commercial to long-form documentary projects, and everything in between. Today long form documentary and television programming is where he focuses most of his time and attention. Stef had been in the game since 1983 and when pressed admits to mixing over 2 000 television episodes in a number of genres. When not mixing he is often found burning the tarmac, or eating dust, on his motorbike. When ZZ Top came to Cape Town people often stopped Stef to ask him for his autograph.